Flowers are undoubtedly one of the most beautiful creations of mother nature. No wedding is complete without gorgeous flowers. Flowers are widely used for decorating the venue, making the bride’s and bridesmaid’s bouquets, decorating the cars, and what not! There are countless ways in which flowers are used in a wedding. But here, the main issue is that most of us go wrong and end up making big mistakes while choosing flowers for the wedding. Though the flowers might look good in a picture or on the plant, it is not necessary that it matches and coordinates with the theme of the wedding, the wedding venue and even the bride’s dress! Ms. Christina, working for https://www.kiyoh.in/ as a program coordinator,narrates her experience in planning for wedding events. “Not only choosing the right flowers for the wedding decor is important but arranging them is itself an art. Right combination of colours also uplifts the decor.” The link http://www.bhg.com/decorating/home-accessories/flower-arranging/classic-flower-arrangements/ provides an insight into the top fifteen classic flower arrangement ideas. Most of the brides often search through Instagram and Pinterest sites and come up with a beautiful image from someone else’s wedding. They then hope that they can re-create the same image in their wedding. They become so obsessed with the picture and make a fuss about replicating the image. But the fact is that you can never exactly re-create an image! Hence, try to stop wasting your time trying to copy someone else’s wedding picture. Instead, try to come up with innovative and creative ideas and create something new and beautiful! Ask your Event Planner for more suggestions. We might have a particular idea and mindset about how the wedding decorations should be done. But it is not necessary that all those ideas will work well. When those ideas are put into reality, it might not look as good as you had expected! And it will be too late to make changes, and you will have to repent your whole life about one wrong decision that spoiled your perfect wedding! Hence, it is always better to listen to the suggestions provided by event management experts. 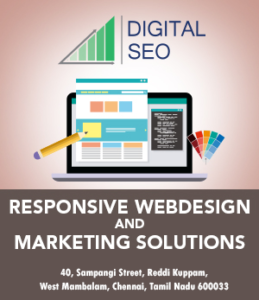 They are more experienced in such works and will be able to visualise the ideas very well. You might feel that you don’t need a floral decoration for the wedding as you might like to try something different maybe with candles and balloons. But, at least a bit of floral decorations is necessary to add a dash of softness and beauty to the venue. Hence, instead of completely saying no, you can try to come up with a joint decision incorporating your wishes and suggestions from wedding planners. These are two of the most common mistakes brides, and grooms make while deciding the decorations for the wedding. And convey your dreams to them. Their expertise and skill can do wonders for you! 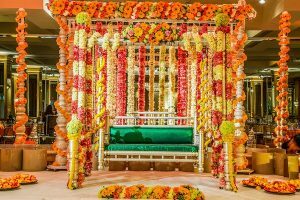 Also Read : Event Planners & Floral Decors for Indian wedding. Some people miss to select a theme and end up in confusion. It is best to have a theme before starting the flower decoration. You need to go with the theme throughout the decoration. The mistakes you make will be seen clearly on the photo. Photos can lead to wrong decision. 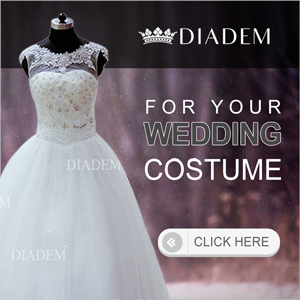 We see lot of images and videos on the internet and make sure to implement on the wedding day. You need to know that there are edited using filters and Photoshop. 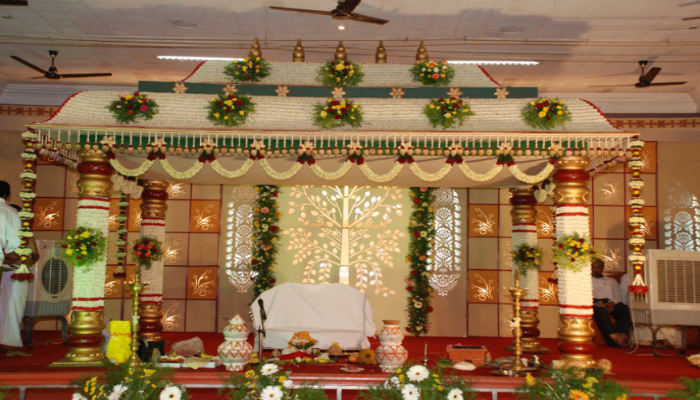 Before falling in love with a flower decoration, ensure to check whether it is suitable for your venue. Last minute arrangements can also results in mistake. It is best to prepare or plan for arrangements three months in advance. You can also check with your wedding planner for an experienced flower decorator or florist. 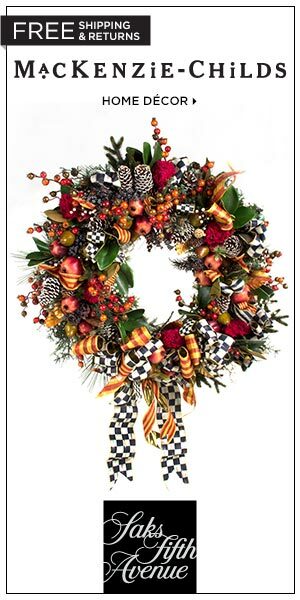 Floral decors are experts in giving updated ideas. It is rare to commit mistake while selecting wedding flowers. Most people are aware and updated about the celebration in the recent years. They are able to take informed decisions by researching on the internet as well as by consulting a florist. Thanks for sharing an informative and useful blog. I had lot of confusion regarding wedding flower decoration and after reading the blog, I feel confident. As per your suggestion, I would get in touch with a florist and event organizers. Nicely written, it should be really useful for all those new ‘to be’ Bride/Grooms who are using their last point of brain in fixing their wedding decorations. And I agree with this blog on advising the wedding groups on not to replica someone else’s creativity. 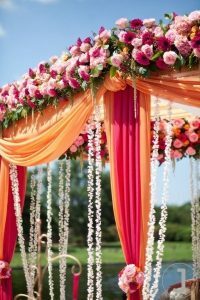 The most key part in Wedding floral decorations is matching the flowers décor with Bridegrooms costume color code. I think this is also one of the common mistakes made. A complete mis-match of flower colors used against the bridegrooms dress might not be so eye catching. Another common mistake that is made by most people is giving importance to fragrance. It is well known the scent of flowers is impressive and nice but it does not attract all people. Each people have their own kind of preferences. Ensure to fix a budget before starting wedding decoration. You need to think how much you are going to spend for purchasing flowers and its decoration. To be clearer, you would be spending around 10% of your wedding budget for flowers. Ensure to fix a budget before starting wedding decoration. You need to think how much you are going to spend for purchasing flowers and its decoration. To be clearer, you would be spending around 10% of your wedding budget for flowers. Each flower is different and it is hard to expect the same arrangement you have seen on the internet. Some people browse beautiful wedding decoration pictures on the internet and expect to have the same for their wedding. It is actually hard to achieve.